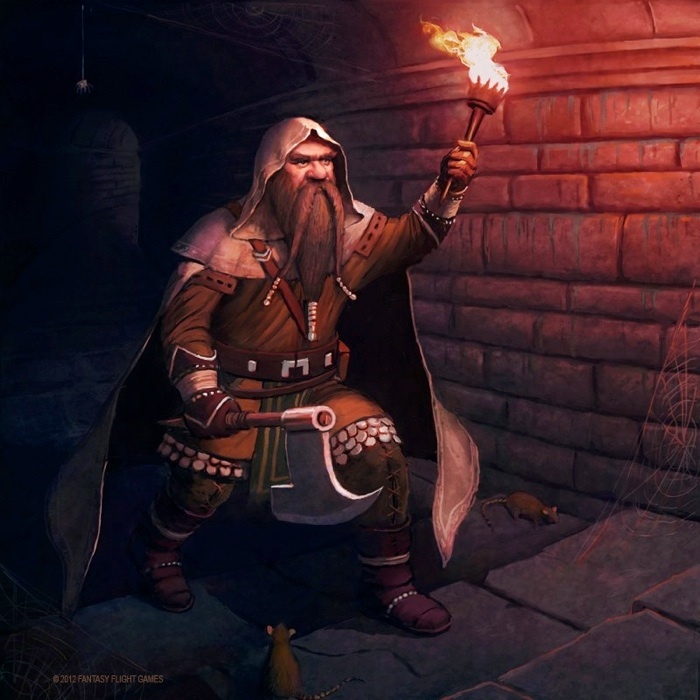 Glóin was the fifth Dwarf in the fourth group to arrive at Bag End for the Unexpected Party, and he came wearing a white hood. Glóin did not assist in setting the table nor did he bring a musical instrument out when Thorin called for music. After Bilbo had his fit of fright he overheard Glóin sneer that the hobbit looked 'more like a grocer than a burglar' when he saw him 'bobbing and puffing on the mat'. This affronted Bilbo enough to make him agree to undertake the quest. Then, when Gandalf proclaimed that Bilbo was his choice he scowled at Glóin so fiercely that the dwarf huddled back in his chair. n October T.A. 3018 Glóin and his son Gimli were sent by Dáin Ironfoot to Rivendell to seek advice concerning the fate of Balin's Colony in Moria. When Frodo Baggins recovered from his wounds and attended the feast, it was Glóin who sat next to him and gave him the news from Erebor and surrounding lands since the time of Bilbo. Later, at the Council of Elrond, Glóin spoke of the shadow that had fallen upon his people and of the sinister messenger from Mordor who had come to inquire about Hobbits and where they dwelt. 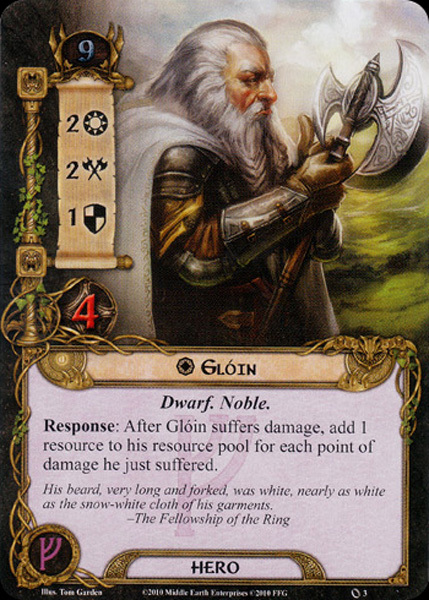 Glóin's greatest contribution to the War of the Ring was his son Gimli, who joined the Fellowship of the Ring. 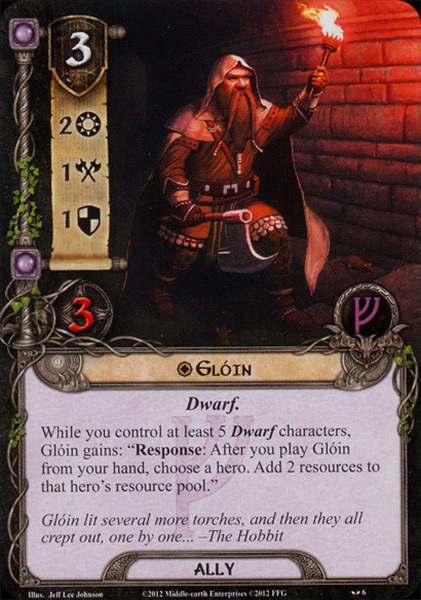 Glóinn is a dwarf in the Dvergatal. The name means 'Glowing one'.